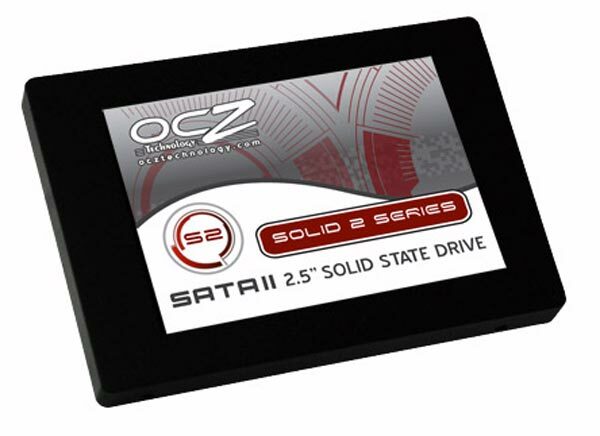 OCZ has launched a new range of solid state drives, the OCZ Solid 2 SATA II SSDs. The OCZ Solid 2 SATA II SSDs are designed to be more affordable than some of the SSDs available, and come with read speeds of up 125MBs and write speeds of up to 100MBs. They come with 64MB of on board cache, and will come in two sizes 60GB and 128GB. Unfortunately there is no word on pricing or availability as yet, lets hope the retail for a decent price, especially as OCZ is marketing them as affordable.